Lexapro Drug Class: Is Escitalopram A Controlled Substance Or SSRI? There are many drugs used in the treatment of anxiety and depression, one of them is the antidepressant Escitalopram with brand name Lexapro. The Escitalopram drug class is specifically related to pharmaceuticals that regulate serotonin reuptake. The SSRI properties spring from the effect of the drug in the regulation of serotonin in the brain. Another popular misconception is that escitalopram is a Maoi. Due to its diverse applications, people often wonder what type of drug Lexapro is. 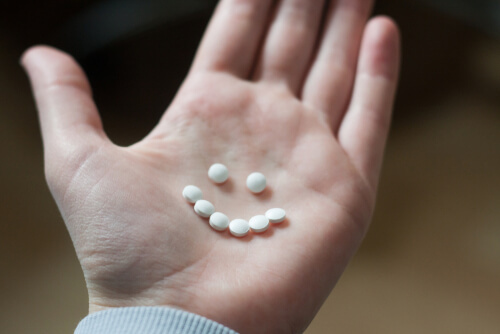 This guide addresses whether the Escitalopram is a controlled substance question which has become relevant due to the possibility of building a tolerance to this drug and possible addiction. An understanding of Lexapro classification can help provide a clearer view of the applications of this drug. Levels of adverse drug reactions to other substances such as alcohol and Lexapro are also linked to its general classification and potency. Is Lexapro A Controlled Substance? Is Lexapro An Antipsychotic Medication? Firstly, what is Lexapro? The antidepressant Lexapro is a drug administered to patients with issues of depression and anxiety disorder. The medication restores the serotonin balance in the brain. Serotonin acts as a neurotransmitter in the brain and is responsible for mental balance and health. The Lexapro antidepressant helps to alleviate feelings of depression, fatigue, lack of concentration, anxieties, restlessness, paranoia, irritability and other nervous complexities. Is Lexapro a controlled substance? The answer is negative. The drug has numerous cases of abuse, and many users are known to experience withdrawal symptoms when they discontinue the use of the drug. However, the government decides what drugs are categorized as “controlled” or “addictive.” Escitalopram is classified as a non-controlled drug by the United States government. However, the Food and Drug Administration placed a black box warning on the drug owing to the risk of suicide and increased suicidal thoughts while taking the drug. Along with an increase in the risk of suicide some cases presented with life-threatening allergies to the drug such as rashes, swellings, short breath even coma; all under anaphylaxis. This stresses the risk of the drug as well as other SSRIs, and the importance of consulting a medical doctor before taking them. 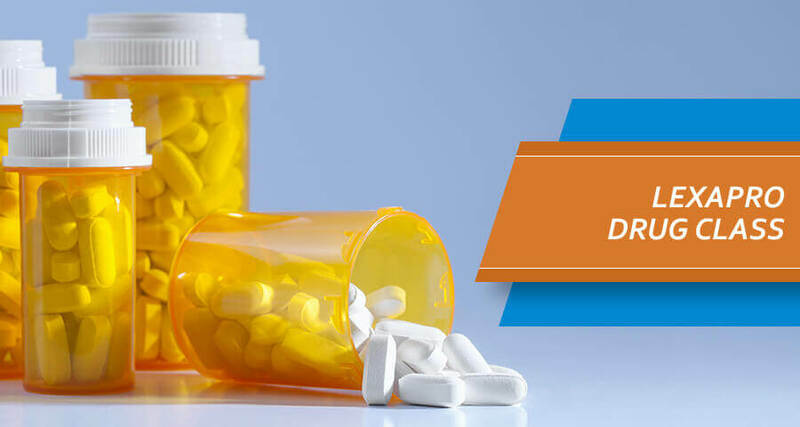 A drug can be classified as a narcotic based on its ability to cause an addiction. So, is Lexapro a narcotic? Escitalopram is not classified as a narcotic substance, although some narcotics have antidepressant effects. Among antidepressants, Lexapro is one of the most popular, however; it has no addictive or sedative effects. Benzodiazepines are a class of drugs used to treat anxiety by enhancing the functions of neurotransmitters specifically Gamma-aminobutyric acid (GABA). So, is Lexapro a benzodiazepine? No, it is not. Lexapro SSRI functions differently from benzodiazepines with its application as an antidepressant, increasing serotonin activity in the brain. Benzos are administered to reduce activity in the brain which may lead to anxiety and psychiatric disorder. This resolves the “is Lexapro benzo?” question. Lexapro class of antidepressants includes other SSRIs such as paroxetine (Paxil), Citalopram (Celexa), Sertraline (Zoloft) and many others. Escitalopram SSRI is an atypical antipsychotic drug categorized as antidepressant. Both typical and atypical antipsychotics are administered in managing symptoms of psychosis, schizophrenia and bipolar disorder. The Lexapro drug class is used as an adjunct in managing the depressive disorder. The SSRI Lexapro serve as psychotropic medication. Due to its usefulness in the treatment of mental illnesses and characteristic conditions, it is administered to control moods. Antidepressants come in various categories and are usually grouped according to what chemicals in the brain are affected by their actions. So, is Lexapro an antidepressant? Is Lexapro an MAO Inhibitor? MAOIs stands for the Monoamine Oxidase Inhibitors, which are one of the most powerful antidepressants. They also have dangerous interactions with many medications, so it is imperative to know whether Lexapro is an MAOI. However, this drug belongs to another class of antidepressants. Is Lexapro a tricyclic antidepressant? Tricyclics include Vivactil (Protriptyline), Sinequan (Doxepin) Norpramin (Desipramine) and others. Lexapro (Escitalopram) does not belong to this class. Escitalopram belongs to a drug class labeled as selective serotonin reuptake inhibitors (SSRI). Its mechanism of action includes the blockage of protein substances that transport serotonin away from the nerve synapses which allows serotonin to freely loiter in the brain; the substance serotonin is a common neurotransmitter which is released in the brain during pleasurable experiences. Escitalopram classification can be misconstrued if proper attention is not paid to details. The Lexapro MAOI misconception can be cleared by understanding the difference between Lexapro (an SSRI) and an MAOI. Monoamine oxidase inhibitors function by neutralizing the breakdown of serotonin, ensuring the availability of more serotonin to transverse the synaptic cleft to bind to receptors. SSRIs, on the other hand, utilize a different mechanism. They inhibit the breakdown of serotonin by plugging up spaces to prevent reabsorption into the synapse. Escitalopram possesses properties that allow it to bind primary sites to distort reabsorption into the neurons. Often certain drugs serve as a placebo in the treatment plan for drug abuse and other forms of mental health care programs. A placebo functions as a non-therapeutic drug which is used as either control for testing other drugs, or for minor psychological benefits just as a procedural prescription. In various placebo medications, brain scans may show changes in neurological responses between two groups who are aware of these placebos and those who are not. Escitalopram, however, is not a placebo. There may be variations in effectiveness for individuals as well as escitalopram side effects, however; the drug is one of the most effective for acute depression and anxiety disorders. Withdrawal syndrome from Escitalopram can be very unpleasant and affects normal bodily functions. The best way to avoid this condition is to consult a physician on how to taper off Lexapro to avoid irregularities. On discontinuation of an antidepressant such as escitalopram, one may begin to feel symptoms that are similar to the condition that prompted one to take these drugs in the first place. Its effect may even increase in some cases; this is why “cold turkey” is very dangerous. It is imperative to seek the counsel of a medical doctor or locate nearby rehabilitation centers for addicts in extreme cases.